Bloggers make us try things all the time but lately I went old school and talked about beauty products with friends, just to see what they have been enjoying, especially the ones who are not that much into the beauty world. I wanted to try something new for myself, but not necessarilty something that is new on the market. What have I been missing out on? 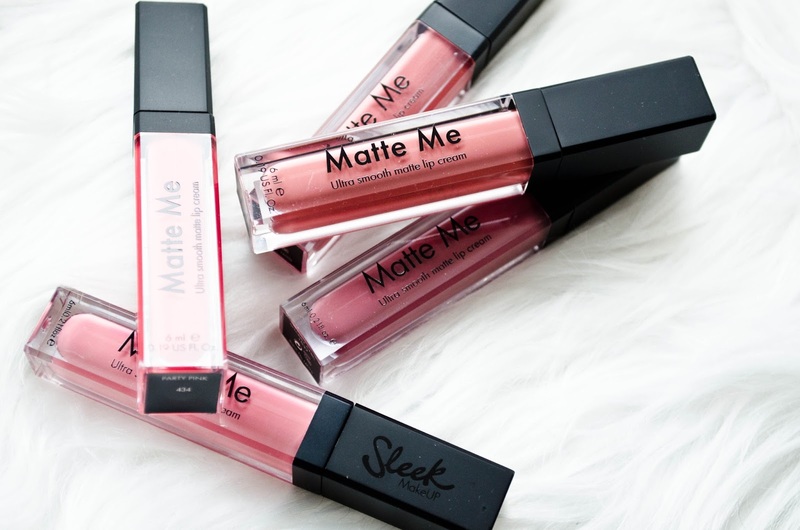 Sleek is not a new or hidden brand and the Matte Me lip creams have been around for ages but somehow I gave them a miss for what seems like an eternity. A couple of my university pals snapchatted me a few weeks ago before a night out and they were both rocking some cool lip colours so of course I wanted to find out what products they used. Well, turns out it wasn't any over priced lip kit, just Sleek makeup. 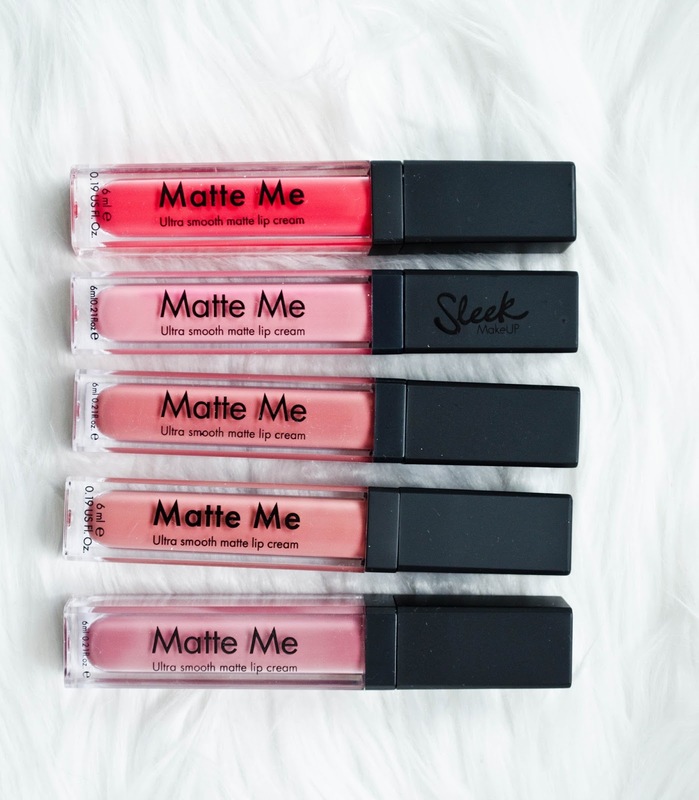 Here I am now, giving you my little review of these lip products because they have quickly become my favourite makeup product lately. First of all, the shade selection is pretty decent, and I am IN LOVE with the pinky-nudes as usual, although as you can see in the photos, I do have a couple of brighter colours just perfect for summer. 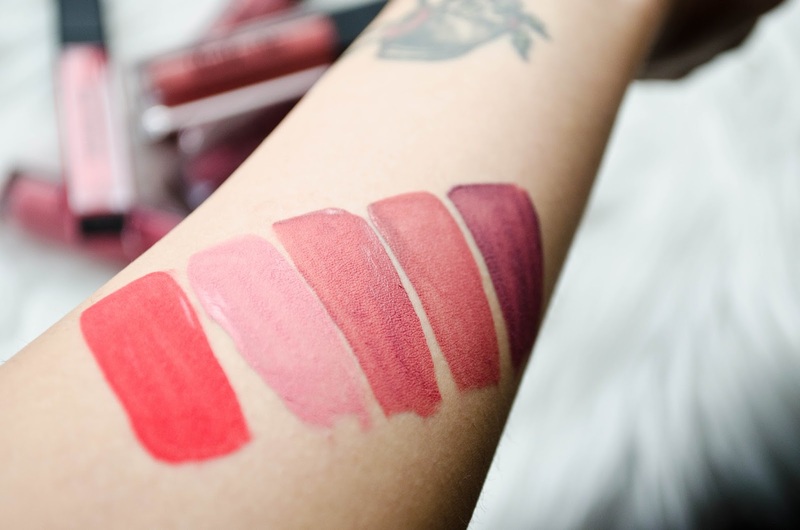 Like all matte liquid lipsticks of their nature, they apply glossy and then dry to a matte finish. I found that a couple of the shades, like Petal (the true pink), take a little longer to dry but that gives you more than enough time to evenly spread the product and even overline your lips if that's the trend you're into. They are transfer-resistent and they do not budge for a good 5 hours although as expected you will feel your lips being a little dry afterwards, but nothing that would put you off. You do not need a second coat however I do reccomend carrying the product with you throught the day, just in case you need a little touch up after a greasy meal or a few drinks. Despite the fact that your lips might feel dry, they won't look wrinkly and with such an amazing lasting power at an affordable price point, I really think you can't go wrong with them. 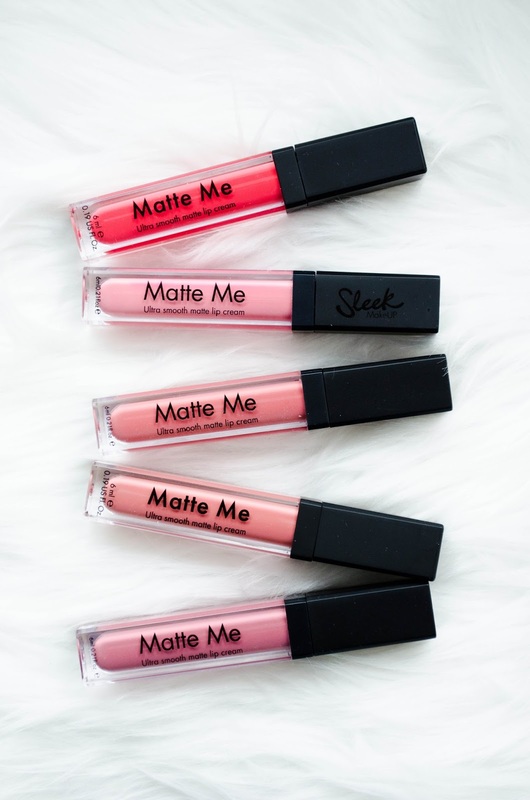 So if you're looking to experiement and try more matte lip products, the option Sleek has to offer is great, wether you are a pro or just getting started and looking to expand your collection. Let me know what old gems you've been enjoying recently as I'd like to test more products that are not super hyped at the moment! I have a couple of these and I really like them! I have a matte metallic one too! This line is good. To add, it comes at an affordable price. You can use Showbox APK to watch out the Serial or Movies which you want to watch. Read more for get more information about showbox app for your smartphone.